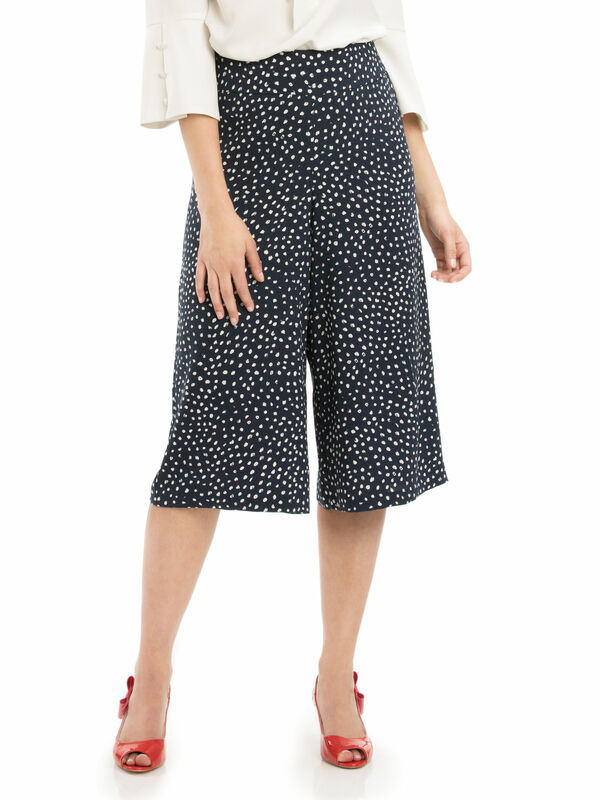 Speckle Spot Culottes https://www.review-australia.com/asia/speckle-spot-culottes-navy/RE19PA033.RENVY009.html These playful speckle spot culottes are cropped and high waisted for a modern versatile silhouette. 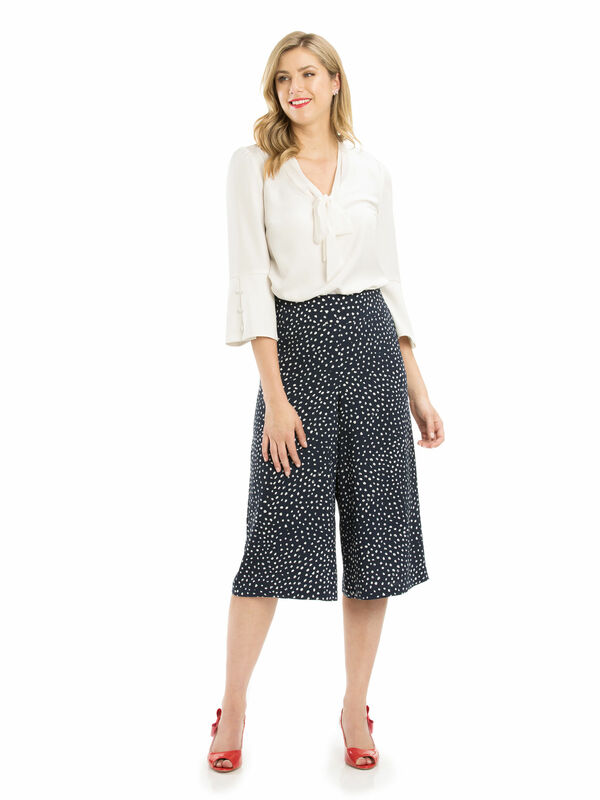 They're perfect for day or evening with a soft white blouse or fitted tee. 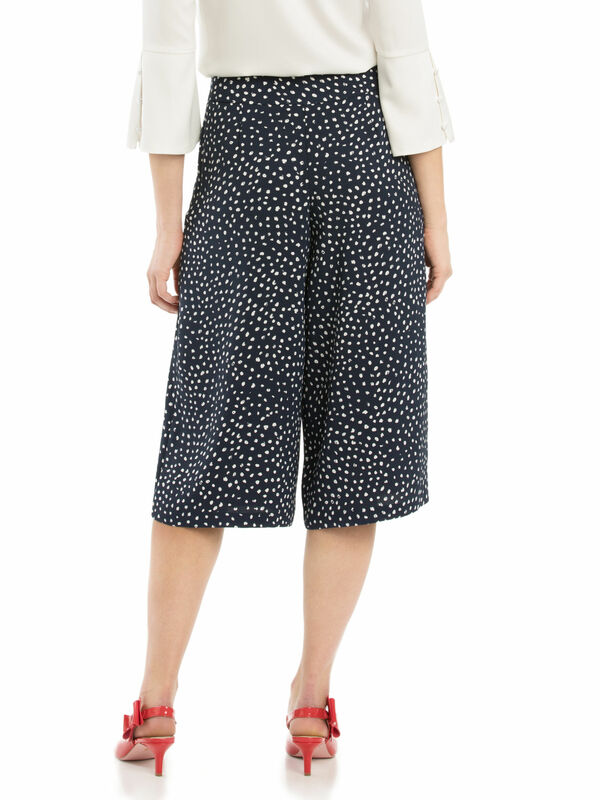 They're made from a soft crepe fabrication with spots throughout.